Life is unpredictable, and we all can find ourselves in circumstances we did not expect. For many good people in Florida, facing a criminal charge can be one of those times. It is often an unexpected and scary situation. Criminal convictions carry severe penalties and can have a significant effect on your future and those you love. Regardless of what led to your charge, you need and deserve to have your rights protected. You've probably got a lot of questions running through your mind right now, and so we encourage you to check out our frequently asked questions page for answers. At Rossen Law Firm, criminal defense lawyer Adam Rossen is committed to providing premiere legal representation. 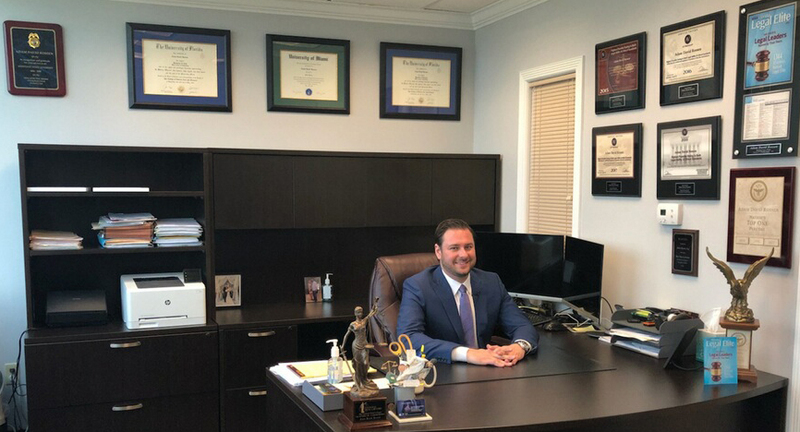 Throughout the time spent working as a Broward County prosecutor, Adam spent years developing an intimate understanding of the law and local legal system. Today, he puts that experience to use to ensure that the good people of Florida are offered every protection they deserve under the law. When you visit our office, you will find the compassion and information you need to feel empowered. In the courtroom, you will see a determined and aggressive advocate. As many former clients attest, Adam’s personalized approach gets results that can help you move forward with your life. If you or someone you love has been charged with a crime in Broward County, whether you are a Floridian or a vacationer, contact Rossen Law Firm today to learn more about the services we provide and how we may be able to help. While the potential consequences can seem scary and overwhelming, it is possible in many cases to minimize these negative repercussions and move forward from this difficult time in your life. Time and again, Adam has worked hard to secure the dismissal of charges, reduced consequences, and more. The legal team at Rossen Law Firm understands what is at stake and are aggressive in the defense of your freedom. Even if you are not sure how a lawyer can help or if your case is something Adam handles, don’t hesitate to reach out. Individuals charged with a crime do have rights that need to be protected. Talk with Adam today to learn more about your legal options. Many times, our clients have little experience with the law and have never faced a serious legal charge before. You may have many questions and feel overwhelmed by an uncertain future. That is why Rossen Law Firm is here. When you call our office, you will speak directly with Adam to have your questions answered and schedule a free strategy session. He can explain the law, review the facts of your case, and help you understand what to expect from the legal system. Together, we will explore all possible legal options to find the most effective way forward. With that plan in place, Adam will aggressively pursue the best possible legal outcome. While these situations can feel isolating, many others have been where you are, and Adam has helped them come out the other side successfully. As proven by his abundance of online reviews, Adam is dedicated to the protection and satisfaction of his clients, and he has met their unique goals time and time again. One mistake does not have to ruin your life. Reach out to Adam today by filling out the contact form on this page or calling our office. Adam Rossen saved my future. I was initially facing multiple felony charges with a potential prison sentence of over 20 years. It was a dire situation, one I’d never imagine finding myself in. For over two years Adam worked hard on my behalf and eventually beat the charges, saving me from felonies and prison. Even when a new, more aggressive prosecutor became involved in the case Adam lost no momentum and zealously pursued a good outcome. Through every step of the process Adam explained everything. I understood my situation and the risks I faced. He was always professional and inspired a confidence which, in the beginning, seemed so hard to find. From our first meeting he was genuine and transparent. It was an easy decision to retain Adam, and certainly the best decision I made for my case. There’s no way I could fully explain just how much Adam and his team did for me over such a long period of time. Likewise it would be hard to express the gratitude he deserves for such a miraculous outcome in my case. With everything he did, perhaps the greatest was giving me hope for the future and allowing me to see that, while bad things can happen, good things can as well.